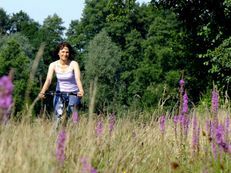 Relaxation, sports and good food go hand in hand when it comes to feeling well, healthy and fit. 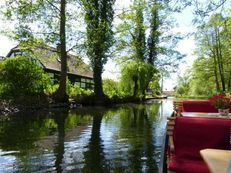 The Spreewald offers numerous possibilities to enjoy a day of sitting back and getting wellness treatments. 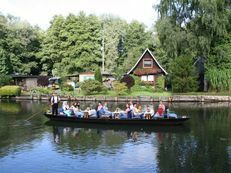 Visitors of the Spreewald thermal spas will find spacious sauna areas as well as countless opportunities to go swimming. Relaxing massage treatments are available there as well. 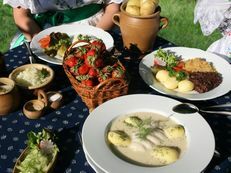 The local cuisine of the Spreewald offers some special regional treats. First and foremost is doubtlessly the Spreewald gherkin. 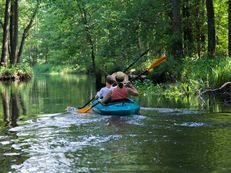 Popular far beyond the area of the Spreewald, the locally grown and pickled cucumbers are produced according to recipes that have oftentimes been passed on for generations and are well-kept family secrets. Traditional recipes include mustard pickles, dill pickles, garlic pickles and, of course, simple pickled cucumbers. Another regional product known all over the world is linseed oil. This healthy and tasteful vegetable oil is made from linseed grown right here in the Spreewald and is still produced in the Spreewald mills today. It is possible for guests to arrange a tour through the mills or even take part in a linseed oil tasting.